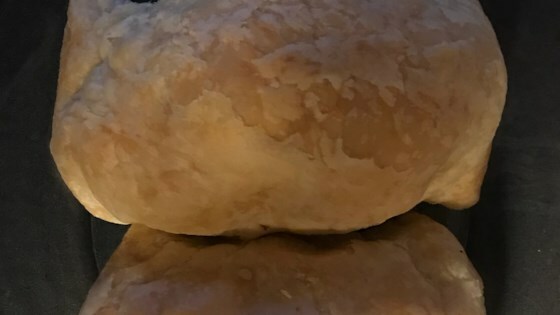 "This is a quick and cheaper version of the favorite, Beef Wellington, that both kids and adults alike find irresistible"
Preheat an outdoor grill for high heat, and lightly oil grate. Preheat oven to 400 degrees F (200 degrees C). In a large bowl, combine ground beef, 1 chopped onion, garlic, and 1 tablespoon olive oil. Season with Worcestershire sauce, Italian seasoning, salt, and pepper. Add egg, and mix well. Shape into 4 thick patties, not too large in diameter. Cook burgers on grill until brown. Heat 1 tablespoon olive oil in a skillet over medium heat. Saute 1 chopped onion, and chopped mushrooms until brown and caramelized. Cut puff pastry into 4 squares, and roll pieces large enough to wrap burgers. Divide mushroom mixture into the center of each pastry, then top with burgers. Wrap pastry around burgers, and seal edges. Place parcels seam side down on a baking sheet. Brush with beaten egg. Bake in preheated oven for 25 to 30 minutes, or until pastry is puffed and golden brown. Serve with Red Grape Sauce. Meanwhile, make Red Grape Sauce: In a saucepan over medium heat, combine grape juice, Worcestershire sauce, and bouillon. Mix the cornstarch with water, and stir into sauce. Bring slowly to a boil, stirring constantly, until thickened. I love beef wellington, but this is a wonderful alternative. Thanks, Andy. I would recommend placing the parcels on a wire rack over another pan to avoid a soggy bottom. Great recipe! Tried this without the sauce, realized it was too bland. Asked my husband to wait two minutes and whipped up the sauce. With it, this dish went from good to excellent! needs the sauce, and good mushrooms and onion. Red wine works great in place of the grape juice. Flour the counter before using the pastry!! This was very good! I had trouble getting the parcels to stay together but I think it was my own inexperience with puff pastry. The red grape sauce tasted so good on it! This was a hit in our house. Hubby really liked it. Did it pretty much as it said. Used frozen sheets of puff pastry & it worked perfectly.